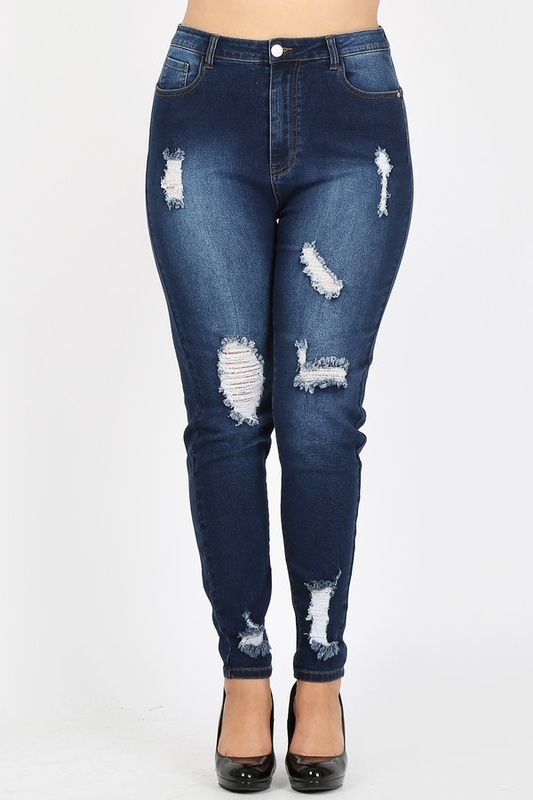 Denim, high waisted skinny jeans with a button/zipper closure, pockets, and ripped legs. - Model is 5` 8" tall, 43D Chest, 35" Waist and 46" Hips and wearing size 1X. - Imported. Designed by USA.